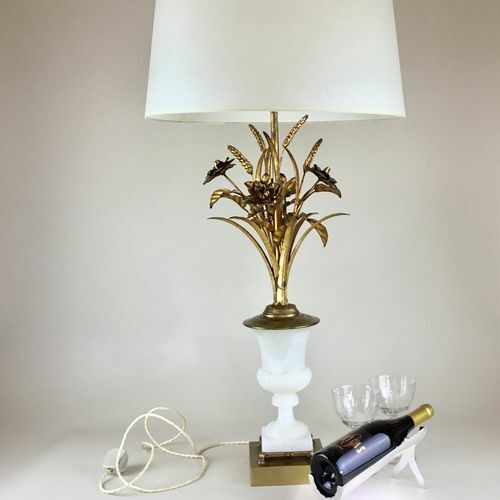 A sensationally large Mid Century Italian table lamp. 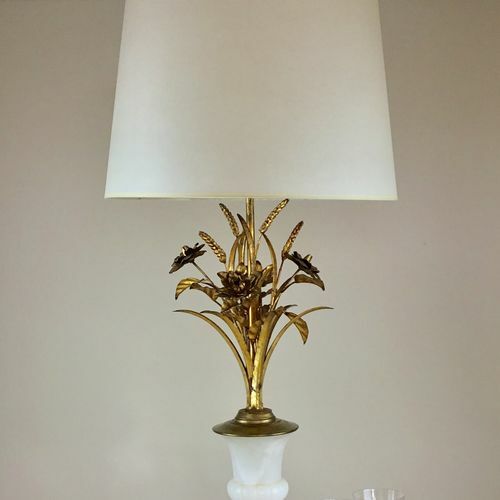 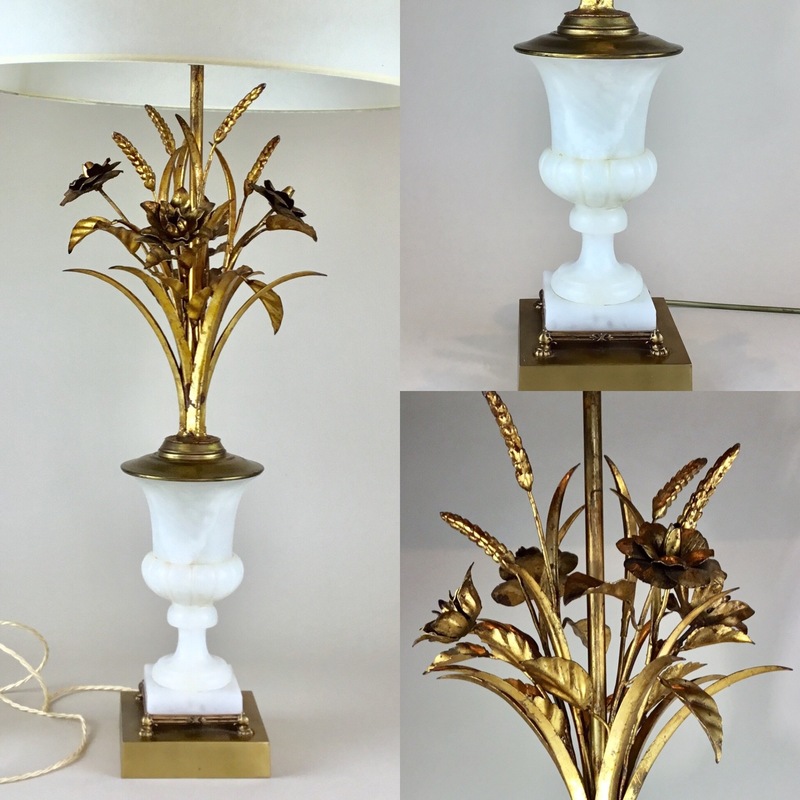 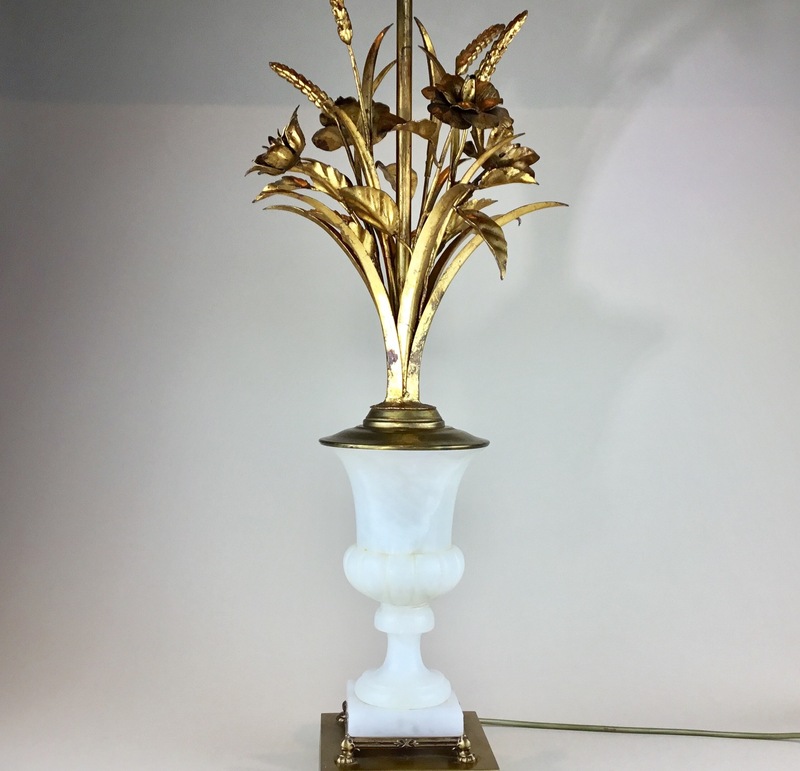 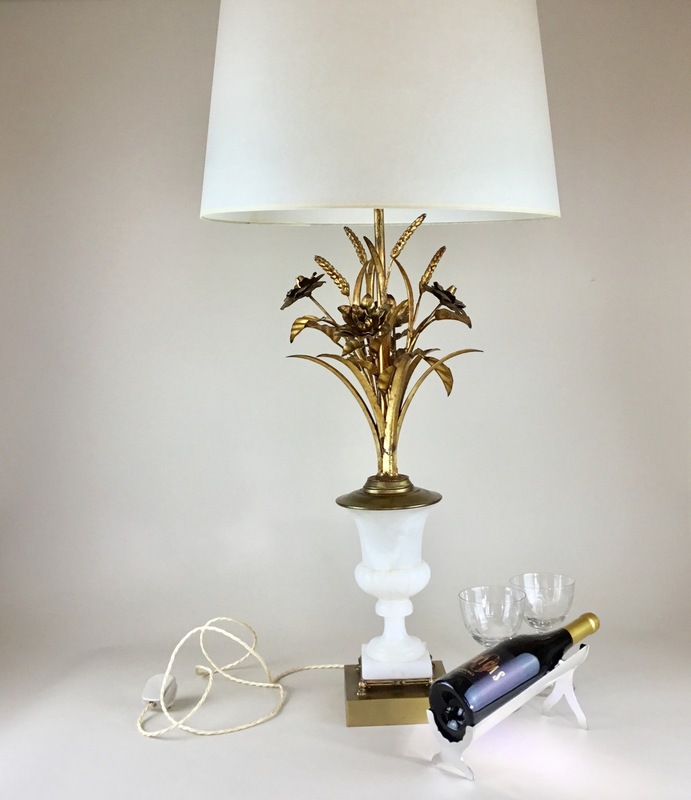 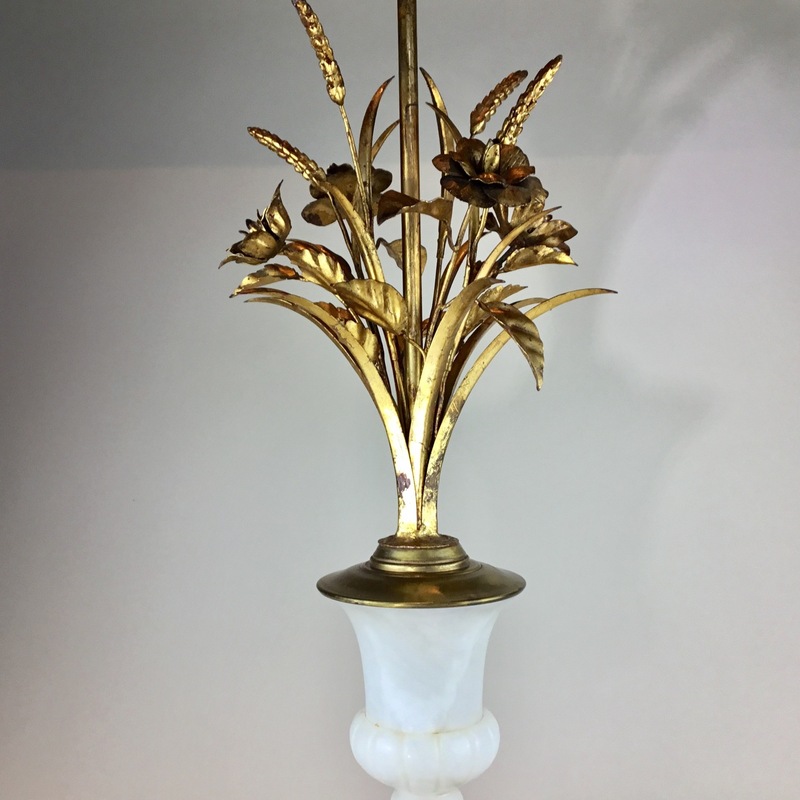 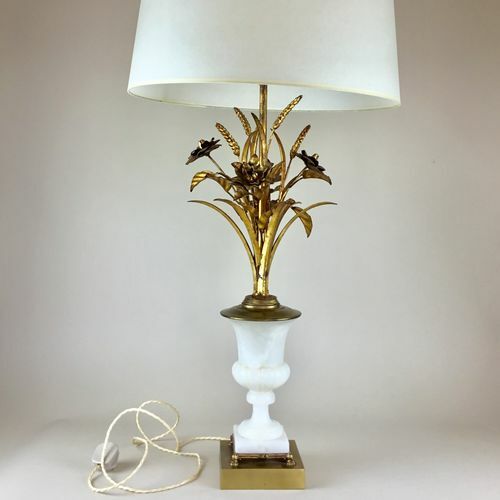 This striking lamp has an alabaster urn on a plinth with gilded tole corn and flower flourish. Fully rewired and PAT tested and certificated. 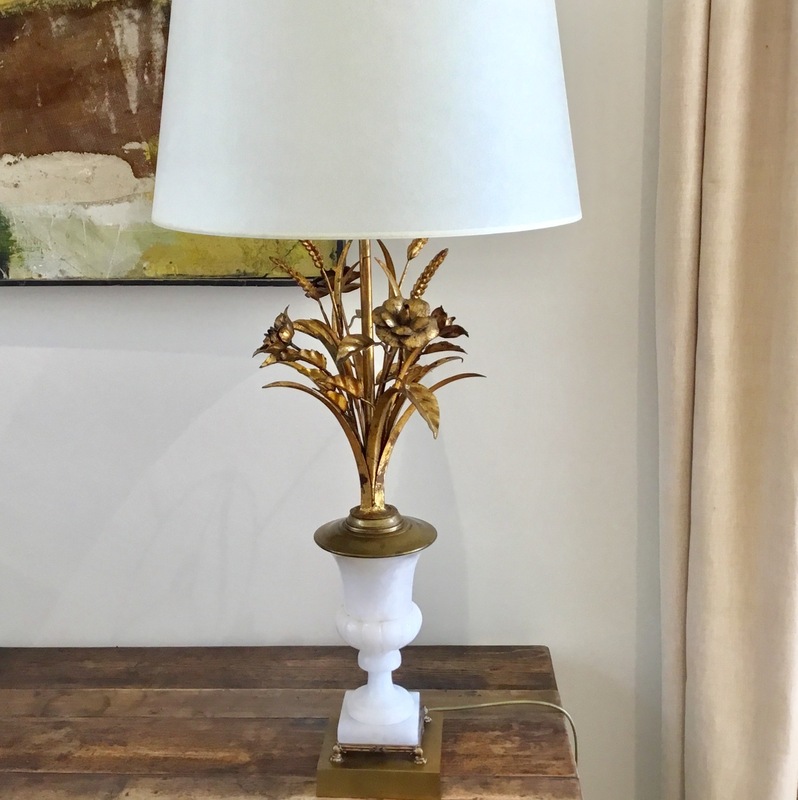 Shade not included.